Have the first NBN customers been connected? Speculation that the first customers in Tasmania are now receiving National Broadband Network services is running high tonight, with one vocal member of broadband forum Whirlpool claiming to be connected and a press conference scheduled for Friday morning with Communications Minister Stephen Conroy and NBN Co. The Federal Government and NBN Co have for some time been promising that the first customers on the NBN will receive services from July of this year. But even as late as Monday Conroy and NBN Co chief Mike Quigley were unable to name a precise date for the landmark first connections to go live. But it appears that one Tasmanian customer may have jumped the gun. 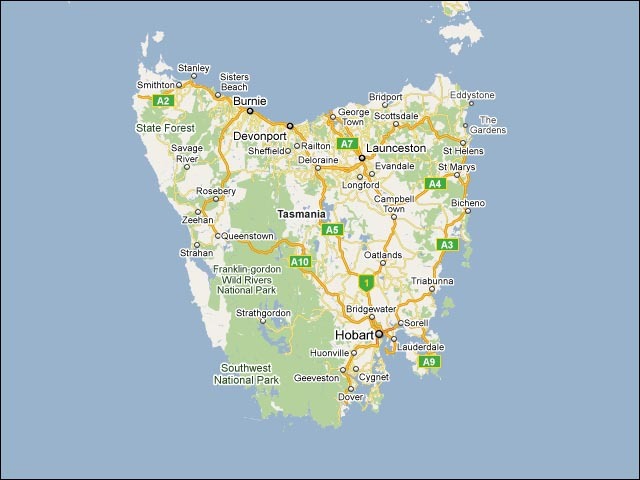 “Bob” claims to be from Midway Point – one of the first three communities in Tasmania – and the whole of Australia – to be connected to the NBN. A month ago on 2nd June he posted photos of what appeared to be a NBN network termination unit on the outside of his house. And he has also claimed to be an early stage Internode NBN customer – one of the four providers known to have signed up to provide retail NBN services in Tasmania. “Ahhh I do believe this would be the 1st [Whirlpool] post from the NBN (Home user anyway :P) correct me if I am wrong, do I get some kind of prize?? ?” he asked. Delimiter was not immediately able to contact the Whirlpool user to verify the claim. Meanwhile, Communications Minister Stephen Conroy and Quigley have scheduled a press conference for tomorrow morning (Friday) at 10:30AM to be held in Melbourne. An NBN Co spokesperson did not immediately respond this afternoon to an emailed enquiry on what the press conference would be about. The confirmation of the first live services to be delivered over the NBN will be seen as a significant milestone in the construction of the network. In addition, the Opposition has repeatedly lampooned the Government over the fact that no services have been delivered over the network since the NBN policy was announced in late 2007. On Monday at a press conference Quigley reiterated the first NBN services would be delivered in the “early part of July”, while Conroy said the “July” commitment had been subject to former Prime Minister Kevin Rudd’s diary and would now be subject to the diary of new Prime Minister Julia Gillard. Conroy said the date would be “in the first couple of weeks in July without any problems at all”. It’s not speculation. Look at the confirming comment from Bob Purdon about the speed setting for the service being incorrect. I used to work with him at PIPE Networks. It certainly does look legitimate to me! You better watch out for those tricky users Bob .. they might steal your tinfoil hat. I still haven’t been contacted back by “Bob from Midway Point”, but in my experience people who have the energy to be engaged on user forums like Whirlpool are rarely outright lying about their experiences. I know this sounds counter-intuitive, because they can post anonymously, but this has been my experience. You have been contacted by Bob now haven’t you Renai? Going to update the article? Laugh while you can, monkey boy.